I’ve got some news that might make your weekend even better. 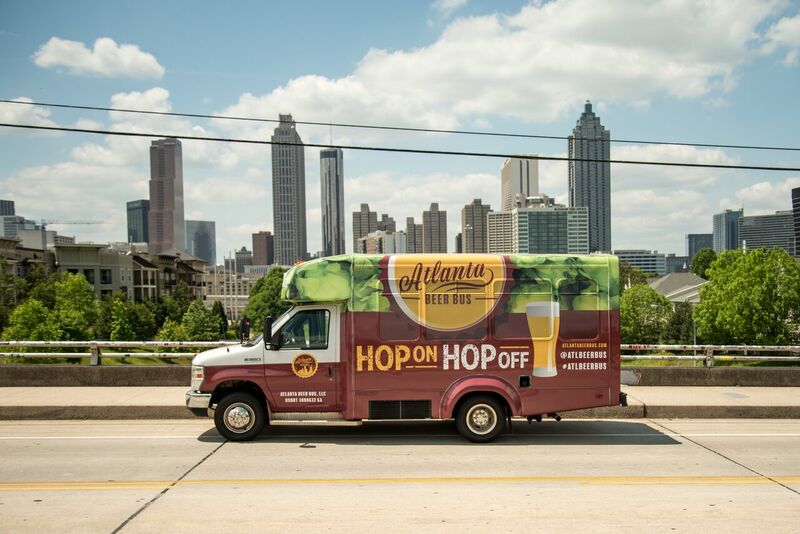 Brand new to ATL, the Atlanta Beer Bus, a hop-on/hop-off party shuttle servicing Atlanta’s most iconic breweries is offering complimentary rides this Friday, May 11th from 4 p.m. to 10 p.m. For this day only, the first 50 beer enthusiasts to email their first and last name to info@atlantabeerbus.com will get free access to the Atlanta Beer Bus shuttles and have the opportunity to stop at some of Atlanta’s most popular breweries, including: Monday Night Brewery West Midtown, Second Self Beer Company, Scofflaw Brewing Co., Red Brick Brewing, ASW Distillery, SweetWater Brewing Company, Orpheus Brewing, and Park Tavern. Once the Atlanta Beer Bus FREE FRIDAY contest email is submitted, each winning guest will receive a confirmation email with instructions on how to redeem the offering. Submissions must be received by 11:59pm Thursday, May 10, 2018 and the complimentary ride is limited to one per person, per email address. Valid only for Friday May 11, 2018. Inspired by the community of the breweries in Asheville, Founder and President Travis Irions aspired to find a way to recreate that brewery experience in Atlanta. Equipped with comfortable, heated/air conditioned group seating, great music, and friendly, knowledgeable drivers, The Atlanta Beer Bus is a party shuttle servicing Atlanta’s most iconic breweries for $15 per person all day each weekend from Friday to Sunday. Pit stops include: SweetWater Brewing Company, Monday Night Brewery in West Midtown, Urban Tree Cidery, Second Self Beer Company, Scofflaw Brewing Co., Red Brick Brewing Company and Orpheus Brewing and more. Between breweries, imbibers will also have the opportunity to dive into the history of Atlanta’s breweries with the help of the Atlanta Beer Bus brew guides, a group of Atlanta experts with deep homegrown roots and knowledge of all things Atlanta from the city’s institutions to off-the-beaten path adventures. The Atlanta Beer Bus shuttles run on Fridays from 4 p.m. to 10 p.m., Saturdays from 12 p.m. to 10 p.m. and Sundays from 1 p.m. to 6 p.m. For more information, visit atlantabeerbus.com or call 770.696.6080.